In my search for smoothie recipes I am constantly trying out new combinations. Not all smoothie combinations work. 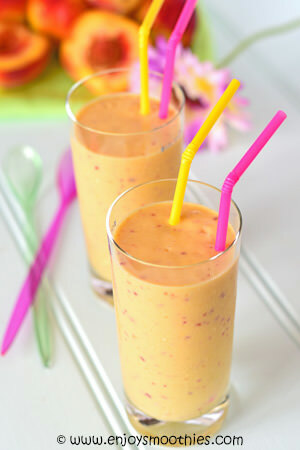 But sometimes the most unexpected fruit combos turn out to be wildly successful such as these mango peach smoothies. 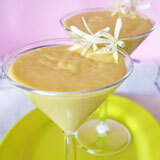 The combination of mango and peaches into a smoothie is truly inspired. The peaches are the star of the show here adding sweetness and juiciness, so they need to be ripe. The mangos add further undertones and extra creaminess. The other great thing is that peaches are low in calories (100 g is just 39 calories). They also fall into the low level category of the Glycemic Index which means they have a small impact on blood sugar levels. Mangos are excellent sources of Vitamin A and C, flavonoids such as beta carotene and antioxidants. 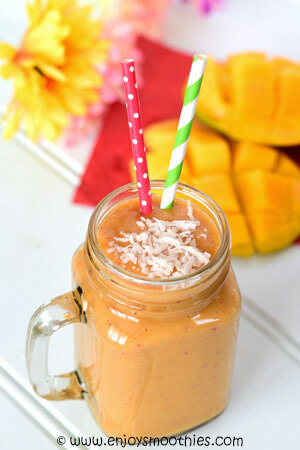 Adding mangos to your smoothies makes them creamier and sweeter. 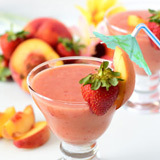 These smoothies can be made using fresh or frozen fruit. I just happened to have some large, very juicy fresh peaches on hand when I made these, so I used those. 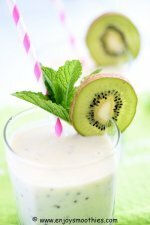 Start with our basic mango and peach smoothie with vanilla, then experiment with different tastes and flavour combinations. 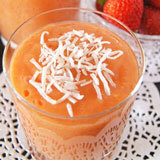 Keep the tropical flavor by adding pineapple, papaya or coconut. Strawberries also work well or load up with some carrot juice for a glowing complexion. 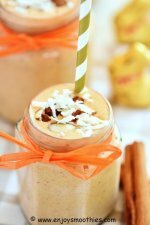 Add the peach halves, chopped mango, yogurt, vanilla extract and almond/coconut milk to your blender. Whizz together until thick and creamy. 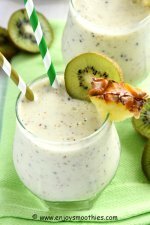 Almond/coconut milk is one of those blends readily available in the supermarkets now and adds a creamy, tropical taste to smoothies. 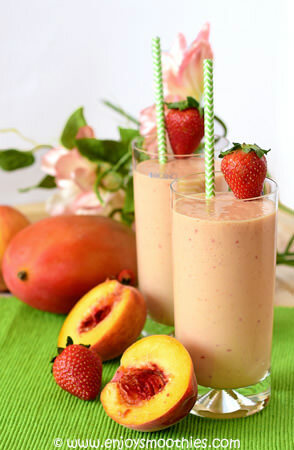 Place the peach, frozen mango, strawberries, almond milk and vanilla yogurt into your blender. Whizz everything up until smooth and creamy. Pour into 2 tall glasses. Halve the peaches and remove the stone. 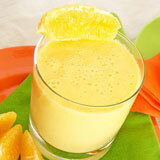 Add to your blender along with the frozen mango, orange juice and the fresh ginger. Grating your ginger will make it blend easier. Whizz all together until everything is smooth and creamy.